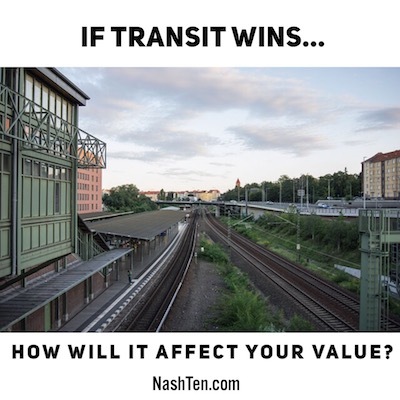 If transit wins, how will it affect your value? Starting Thursday, voters get to decide on the future of Nashville. Most people have already decided which way to vote, so we will skip that for today. 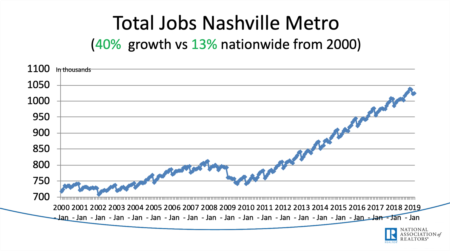 Instead, I want to think about the future of Nashville if this does pass. When I’ve studied areas that recently expanded light rail, I’ve found some interesting facts about the impact on real estate. 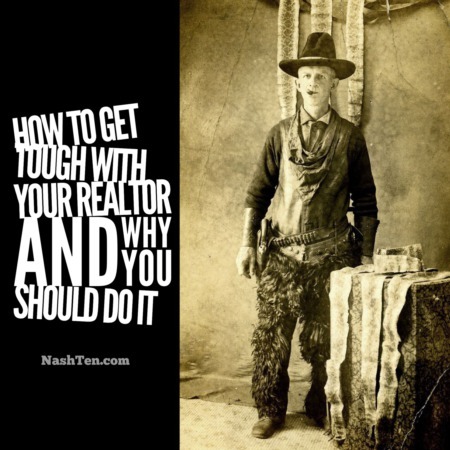 And I want to share those with you today with a focus on property values. Sure there are other impacts such as noise, traffic, and aesthetics. However, these are fairly subjective because people have different tolerance levels which makes it hard to quantify. Looking at more than a dozen studies, you start to notice commonalities. Especially among the rail systems that will be similar to Nashville. The biggest impact on value tends to be within 1/4 - 1/2 mile of the track. This makes sense because it is an easy walking distance. The amount of impact was dependent on ridership. The more popular systems showed higher price appreciation. The typical amount of appreciation was in the range of 5-15% of value. A few markets saw a slight negative impact, mostly in areas with low ridership. One of the benefits Nashville’s system may have on these others is the plan to build in seamless transportation. In other words, they want to make door-to-door service easy as possible. A light rail train ride close to your destination. Making the system fast, easy and convenient is a step in the right direction. However, we don’t know for sure how Nashvillians will adapt. The current system is inadequate and inconvenient. And not a good indicator for a comprehensive transit system. One thing we do know is that it will not be a huge boon for investors as some like to point out. You definitely need to keep it in mind but don’t bet all the marbles on it. The Daily Deal in Nashville is this renovated, 3 bedroom cottage in West Nashville that is listed for less than $375,000. It would make a great starter home and/or investment.